Okay, there's a few things I don't like as I peruse the internet... well probably more than just a few, but in reading the tech blogs as I do there's 2 in particular that I recurringly come across: rumours/leaks/teases and FUD. A lot of 'oh my godz... the sky is falling'... articles with bait click titles with barely a snippet of the full story and wild leaps to conclusions. 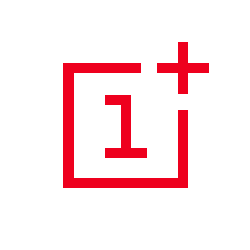 Most recently it's been surrounding the +OnePlus One scenario in India. We talked about it during the Hangout Show, and as I said then, and before, it's probably not as big a deal as everyone is trying to make it. Phrases like 'for the next year' were being taken out of context and wild claims were being made. Sure, there's a nugget of truth there, there is a story, and there might be some strife between the 2, but hardly what folks were probably making of it. Now, they don't say that the phone will be sold in India WITH Cyanogenmod, but I think that's understood. UPDATE 2014/12/08 - Cyanogen has offered further clarification stating that if you had bought the phone in India previously, you'll still get updates. If you bought it in India from a retailer (say Amazon) it won't come with CM; but if you bought it in India from a global retailer, then you'll get CM and still get updates as per norm.